Toronto, Glen. Last week was held nationwide Day of the Rights of Refugees, a festival that seeks to highlight the rights held in the country those who, for reasons of race, religion, political creed or domestic violence, Inter alia, They had to leave their homelands and take refuge under Canadian protection. 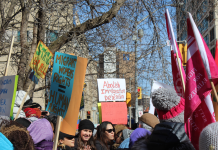 This celebration takes place 4 April each year, because it was a 4 April 1985 the Supreme Court of Canada recognized the rights of all asylum seekers in the Canadian Charter of Rights and Freedoms country. This decision of the Supreme Court of Canada is known as the "decision Singh", in recognition of seven plaintiffs, six of whom were named Singh, who were citizens of India requesting refugee status by Convention on the basis of their fear of persecution by the Indian authorities, because of their political beliefs and activities. The seventh person was a citizen plaintiff Guyana, whose refugee claim was based on fear of persecution on racial grounds, religious and political in their country of origin. As a result of the "decision Singh", the Canadian government implemented a process of refuge, creating laws and agencies administer, which today it is one of the most clear and fair processes worldwide. This year, like all previous, Celebrations included artistic activities, academic, political and cultural, among many others, as well as more than a march and protests. But nevertheless, the most important event was constituted, without a doubt, the decision of a judge of the Federal Court to stop the deportation of a family of Latin origin, whose case had been rejected shelter and faced a deportation order that was made effective last Wednesday 3 of April, that is to say, exactly one day before the celebration of the Day of the Rights of Refugees. The Federal Court ruled that Rosalba Solares, of 42 years, originating in Guatemala, and Jorge Orozco, of 59, from Colombia, who they were denied refugee status and have lived in hiding in Canada 12 years, without immigration status, They will be allowed, for now, stay at home. 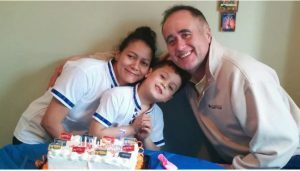 This family was granted the right to continue living at home while continuing their applications before the courts to remain in Canada, mainly because his son, Julian, seven years, It is a Canadian citizen. 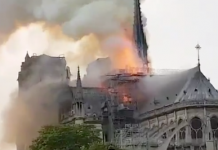 The family had already packed their belongings and was ready to go to the airport last Wednesday morning, when they received the news of the suspension of removal. “We are very relieved and happy. Now we can unpack. Julian was very quiet, and is happy”, Solares said, adding that the family would have its first quiet night's sleep in months, because they feared the dangerous consequences if they returned to their home countries. The family had been divided, since Solares would be deported to Guatemala with Julian, Orozco and would be returned to Colombia. None of them had the legal right to go to another country and there were no relatives with whom Julian could stay in Canada. Their asylum claims were rejected on the 2011, They did not appear for his scheduled retirement in 2012 and they eluded immigration authorities to 2018, when Orozco was involved in a car accident. Normally, that would be enough to deny your request for a stay, the judge wrote in his decision. “But nevertheless, that's not true in this case, where the main concern of the Court and its primary duty is to ensure that properly consider the best interests of a child born in Canada”, he said. And consider the concept of "the best interest of children born in Canada" when executing a deportation order, was born just makes more than 30 years as a product of "Singh decision", which it gave rise to the celebration of the Day of the Rights of Refugees in the country.